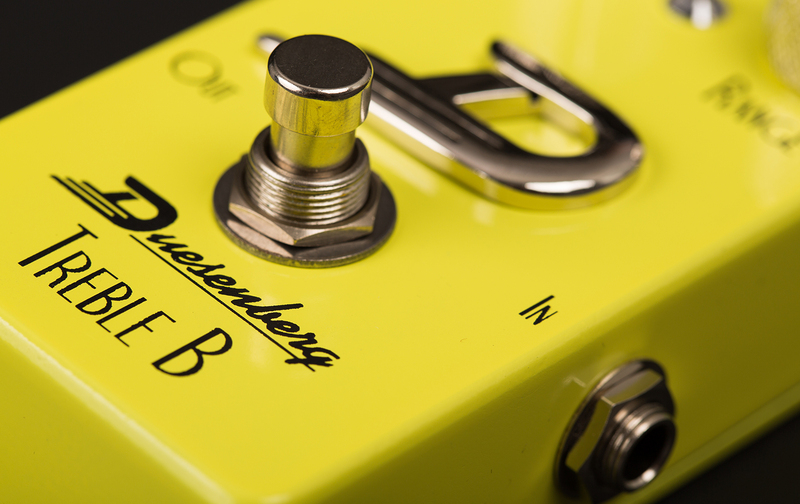 The Treble B adds power and perfect sparkle to any Guitar. 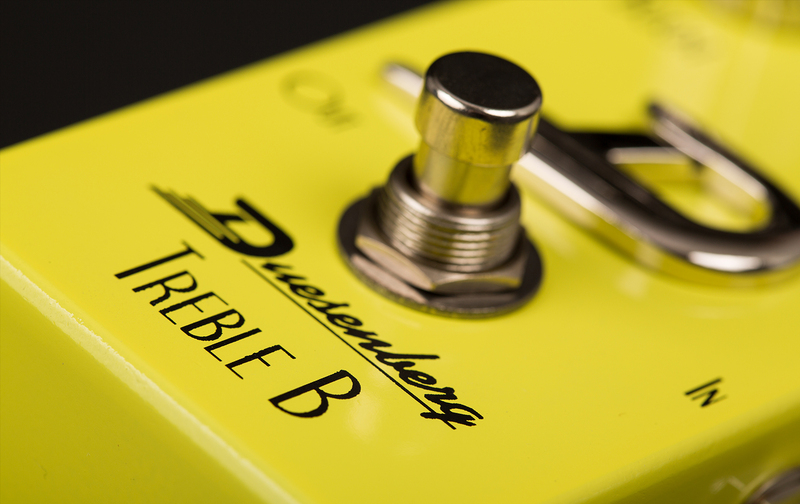 The new Treble B adds power and perfect sparkle to any Guitar. 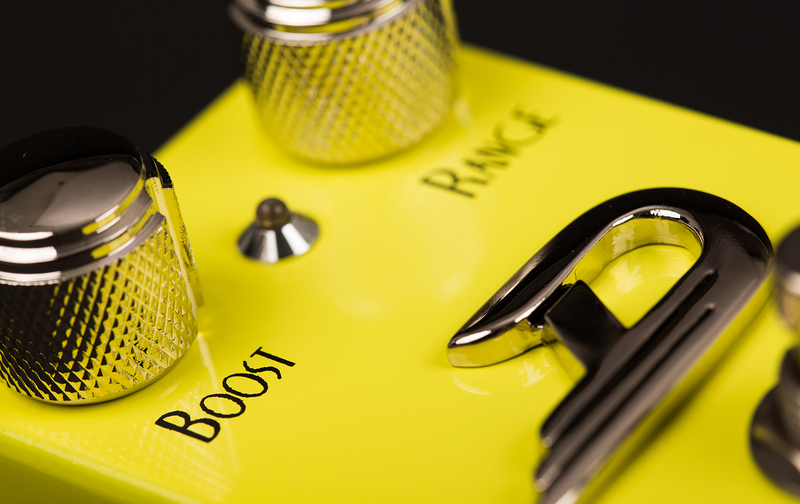 The Treble Booster is in its element as a flexible booster to give Tube-amps a great kick. It gives vintage style pick ups a new lease of life and stays so dynamic while doing so, that a whole array of clean and overdriven sounds can be regulated easily through the guitars volume pot. With the extra “Range” control, the frequencies that need to be boosted can be adjusted. 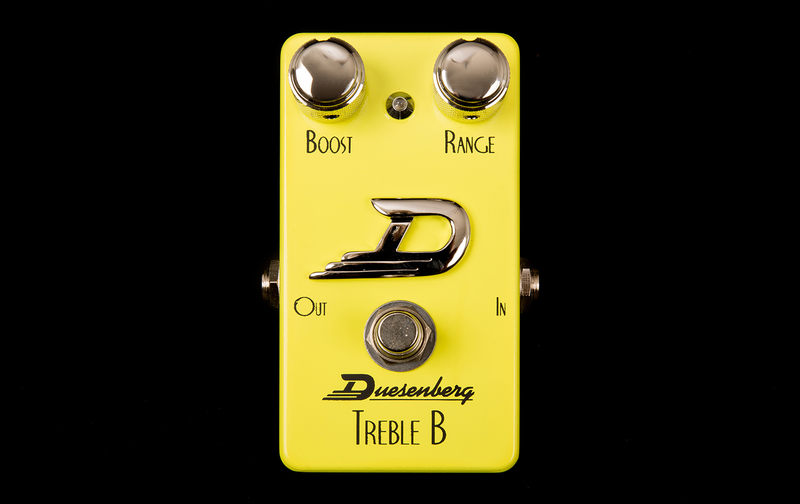 This makes the TREBLE B easy to accommodate any Guitar and any new sound-ideas.